With its launch of the Smart Money Club back in 2012, Mt. 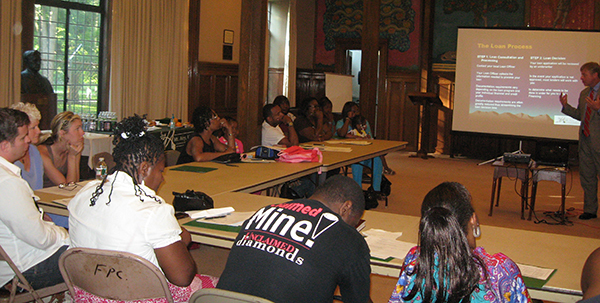 Airy CDC began offering financial literacy education to a wide range of individuals throughout Philadelphia. Building on the success of this program, Mt. Airy CDC has launched an ongoing financial literacy and coaching program, Your Money Matters. Our experienced staff offers workshops designed to provide participants with the tools and support to take control of their finances and create personal growth plans. Check back for online signup, or call us at 215-844-6021 to inquire for more.